HMD Global has launched Nokia 3.1 smartphone today. The phone will be available from July 21st across India. The phone comes with the latest Google services, such as the Google Assistant. The Next generation Nokia 3.1 coming with Android One beside other features in an affordable price. The beautifully curved screen is one of them. 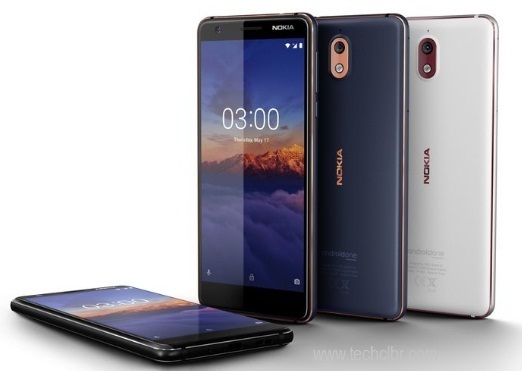 If you are searching for Nokia 3.1 smartphone key features, technical specifications, price other than its hands-on review and comparison etc. then you would find them over here. The stunning design phone is powered by MediaTek 6750, an octa-core processor and coupled with 2GB of RAM. The internal storage of the phone is of 16GB, expandable. Nokia 3 runs with the latest Android Oreo (and Android One) and is ready for Android P as well. The display of the device is of 5.2 inches with 18:9 aspect ratio. Regarding camera of the phone, it comes with 13 megapixel rear one and 8 megapixel front shooter. The phone might be one of the best selling smartphone, best smartphone as well and possibly one can get best deal around. Here we have furnished Nokia 3.1 specs and price detail below. You may also find more detail about the phone, soon. Tips: The phone comes with mid-range features with affordable price. The quality and performances of the phone might please you for sure, so, you can try it.